WHILE the mainstream media bloviates over a mythical and propagandised “global heatwave“, things couldn’t be more different and dangerous down-under, especially for Kangaroos! GLOBAL July temps according to UAH satellite data set were slightly up on June, to 0.32C above the global average. That’s up 0.11C from June’s 0.21 deg C.
The success of Australia’s Carbon Tax has meant that global temperatures have not risen over the past 15 years despite Australia’s evil CO² emissions continuing to rise over the same period 1998-2011. Note China’s CO² emissions have increased by 300% over the same period 1998-2011. However, their talk of an emissions trading pilot scheme has also played a crucial role in halting the rise of atmospheric temps over the past 15 years. 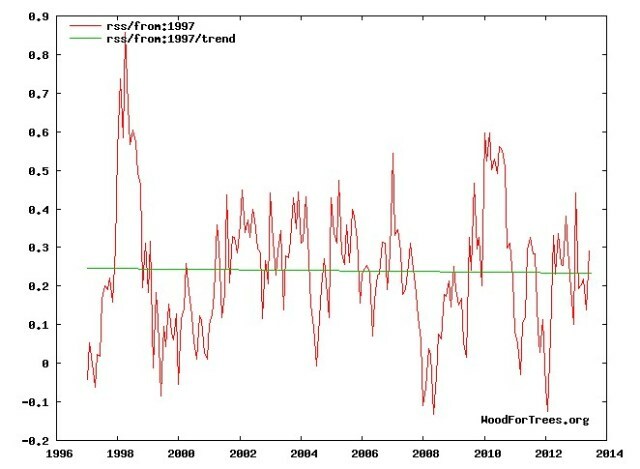 Despite soaring evil-CO² emissions, there has been no warming trend in Australian summers since satellite (UAH) records began. Even though global temperatures have not risen over the past 15 years and there has been no warming trend in Australian summers since (UAH) satellite records began, we must not be complacent. We must continue to listen to emperor Rudd’s Government and Deputy Anthony Albanese, who warn us that by 2050 evil CO² related Global Warming (aka Climate Change) heat-related deaths will quadruple. By 2050 ‘No child or pensioner will die of a heat-related illness’ and we will thank emperor Rudd’s Labor government for linking Australia’s carbon tax and energy prices to the European emissions trading scheme (ETS) – cutting the world’s temp even further and eliminating Australia’s “Angry Summers” forever. Our grandkids future is more important than being able to afford electricity bills today. Our ‘great’ grandkids future is more important than pensioners being able to afford to use Air Conditioning during “The Angry Summer” or heating in winter. VOTE1 Kevin Rudd & Labor to STOP heat related deaths by 2050 !! 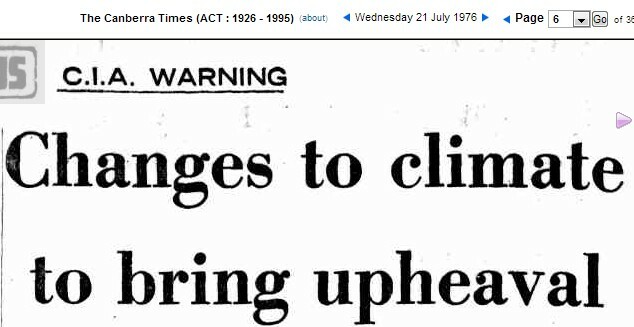 Albanese’s heat-related death forecast is classic fear-mongering and global warming alarmist propaganda BS. Statistics and historical evidence show cold related deaths far outweigh those caused by heat by more than double. However if your government makes electricity unaffordable through draconian climate policy; Carbon Taxers, ETS air trading and heavily subsidised green schemes, you might expect heat related deaths to increase as societies most vulnerable are unable to afford air-conditioning. Heat related deaths would certainly rise if AC is regulated or banned altogether as recommended by UN bureaucrats and those members of the comfortable western climate change elite brigade. There’s a new essay from Indur Goklany in response to a recent Reuters news article. Yesterday Reuters reported on a study which claimed that heat is the deadliest form of natural hazard for the United States. However, this result is based on questionable data. The study used results for mortality from extreme heat and cold that can be traced to the National Climatic Data Center. But these data are substantially different from mortality data from the Center for Disease Control (CDC) based on the Compressed Mortality File for the United States. The latter uses death certificate records, which provide the cause of each recorded death (based on medical opinion). It is reasonable to believe that regarding the cause of death, particularly for extreme cold and heat, medical opinion as captured in death certificate records is more reliable than determinations made by the meteorologists in the National Oceanic and Atmospheric Administration’s NCDC (even if they have Ph.Ds.). Combining data from the CDC database for extreme cold and extreme heat, and various arms of the National Oceanic and Atmospheric Administration for floods, lightning, hurricanes, and tornadoes, Goklany has shown that extreme cold, rather than heat, is the deadliest form of extreme weather event. In fact, from 1979-2002, extreme cold was responsible for 53 percent of deaths due to all these categories of extreme weather, while extreme heat contributes slightly more than half that (28%). For more, see The Deadliest U.S. Natural Hazard: Extreme Cold. Want to read something really interesting? Compared Figure 4-1 in the State of Australian Cities report with the original source which is a 2011 Pricewaterhouse Coopers report. The caption for Figure 4-1 claims it shows projected annual heat related deaths but it doesn’t, it shows “extreme heat events” which are “rare”. In other words it shows projected deaths from rare severe heat waves. Australia has only had ONE in the last 70 years and that was in 2009. The PWC report says that annual heat related deaths will increase to between 170 and 200 annually with much of the increase due to population increase and an ageing population. 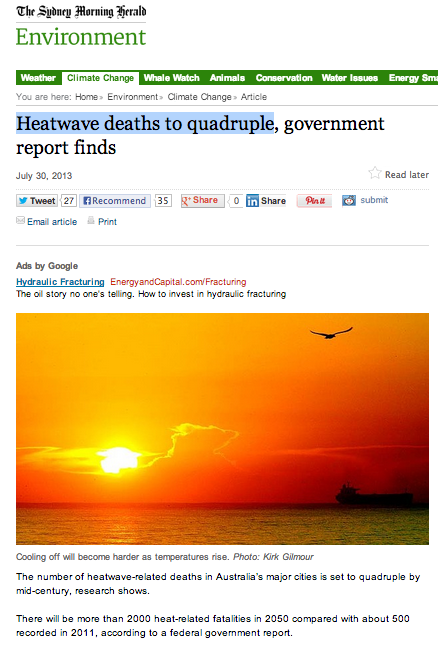 So the stories claiming that heat related deaths will “quadruple” to “2000 annually” are off by a factor of 10! Here’s the link to the 2011 PWC report. See Figure 1 and Figure 3.